Can You Cross Canadian Border with a DUI Montana? Americans that have been convicted of driving under the influence of alcohol (DUI) in Montana may be inadmissible to Canada due to criminality and denied entry at the border. With special permission via a Canadian Temporary Resident Permit, however, it is possible for criminally inadmissible US citizens and residents to travel north of the border with a Montana DUI or DWI appearing on their record. A Canada Temporary Resident Permit enables a person to overcome their criminal history and enter the country for a limited amount of time and is available for as long as three years. Canada Criminal Rehabilitation is also available to people who fully completed their Montana DUI sentencing more than five years prior, and is a permanent fix to ineligibility due to intoxicated driving allowing a person potential access to the country forever. Have a DUI Montana and want to go to Canada? Phone us today for a complimentary discussion with our immigration attorney. A first offense drunk driving conviction in Montana can lead to a $300 to $1000 fine, a 6 month license suspension, and 2 days to 6 months in jail. A 2nd offense drinking and driving conviction can result in 7 days to 6 months imprisonment, a minimum fine of $600, a driver's license suspension for a year, as well as an Ignition Interlock System required in each of the vehicles owned by the offender. Once a person has 3 DUIs on their criminal record, their 4th DWI and any subsequent driving under the influence of alcohol convictions will be classified as a felony instead of a misdemeanor. Montana has a zero tolerance law for drivers under 21, meaning a blood alcohol level of 0.01% can result in an under 21 DUI which can also render a person criminally inadmissible to Canada. Individuals that possess a commercial driver's license can trigger a DUI Montana at a blood alcohol content (BAC) of 0.04%, while .08 percent is the threshold for the general public. The State of Montana also has an implied consent law, meaning that if you refuse to submit to a chemical test (breathalyzer), you can also be charged with impaired driving. The Montana statute for driving while under the influence of alcohol or drugs is 61-8-401, and people driving while high on marijuana or other drugs can also be arrested under this law in addition to people inebriated by liquor, beer, or wine. Whether you were arrested and charged with DUI in Billings, Missoula, Great Falls, Bozeman, Butte, Helena, Kalispell, or any other town in Montana, a criminal record for DUI Montana can render you ineligible for entry to Canada unless you have a TRP or Rehab. Since the State of Montana shares a border with Canada, being ineligible to visit the country can be a bigger annoyance for locals than for residents of other states. 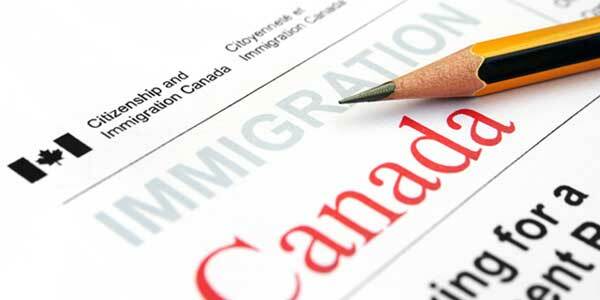 If you wish to have access to Canada once again, contact us today for a free discussion.